International Tea Day is observed annually on December 15. It has been celebrated since 2005 in tea producing countries like Bangladesh, Sri Lanka, Nepal, Vietnam, Indonesia, Kenya, Malawi, Malaysia, Uganda, India and Tanzania. International Tea Day aims to draw global attention of governments and citizens to the impact of the global tea trade on workers and growers, and has been linked to requests for price supports and fair trade. The first International Tea Day was celebrated in New Delhi in 2005, with later celebrations organized in Sri Lanka in 2006 and 2008. International Tea Day celebrations and the related Global Tea Conferences have been jointly organized by trade union movements. In 2015, the Indian government proposed expanding the observance of International Tea Day through the UN Food and Agriculture Organization. Tea originated in Southwest China, where it was used as a medicinal drink. It was popularized as a recreational drink during the Chinese Tang dynasty, and tea drinking spread to other East Asian countries. Portuguese priests and merchants introduced it to Europe during the 16th century. During the 17th century, drinking tea became fashionable among Britons, who started large-scale production and commercialization of the plant in India to bypass the Chinese monopoly. The term herbal tea usually refers to infusions of fruit or herbs made without the tea plant, such as steeps of rosehip, chamomile, or rooibos. These are sometimes called tisanes or herbal infusions to prevent confusion with tea made from the tea plant. Tea plants are native to East Asia, and probably originated in the borderlands of north Burma and southwest China. Camellia sinensis is thought to have originated in the northern part of Burma, and Yunnan and Sichuan provinces of China. Tea drinking may have begun in the Yunnan region during the Shang Dynasty in China, when it was used for medicinal purposes. It is also believed that in Sichuan, “people began to boil tea leaves for consumption into a concentrated liquid without the addition of other leaves or herbs, thereby using tea as a bitter yet stimulating drink, rather than as a medicinal concoction. The earliest known physical evidence of tea was discovered in 2016 in the mausoleum of Emperor Jing of Han in Xi’an, indicating that tea from the genus Camellia was drunk by Han Dynasty emperors as early as the 2nd century BC. The Han dynasty work “The Contract for a Youth”, written by Wang Bao in 59 BC. contains the first known reference to boiling tea.The first record of tea cultivation is also dated to this period (the reign of Emperor Xuan of Han), during which tea was cultivated on Meng Mountain (蒙山) near Chengdu. Another account of tea drinking dates to the third century AD, in a medical text by Hua Tuo, who stated, “to drink bitter t’u constantly makes one think better. However, before the mid-8th century Tang dynasty, tea-drinking was primarily a southern Chinese practice. It became widely popular during the Tang Dynasty, when it was spread to Korea, Japan, and Vietnam. In India, tea was drunk for medicinal purposes, But was not used as a beverage until the British introduced tea-drinking there much later. Through the centuries, a variety of techniques for processing tea, and a number of different forms of tea, were developed. During the Tang dynasty, tea was steamed, then pounded and shaped into cake form, while in the Song dynasty, loose-leaf tea was developed and became popular. During the Yuan and Ming dynasties, unoxidized tea leaves were first pan-fried, then rolled and dried, a process that stops the oxidation process that turns the leaves dark, thereby allowing tea to remain green. In the 15th century, oolong tea, in which the leaves were allowed to partially oxidize before pan-frying, was developed.Western tastes, however, favoured the fully oxidized black tea, and the leaves were allowed to oxidize further. Yellow tea was an accidental discovery in the production of green tea during the Ming dynasty, when apparently sloppy practices allowed the leaves to turn yellow, but yielded a different flavour as a result. Tea was first introduced to Portuguese priests and merchants in China during the 16th century, at which time it was termed chái. The earliest European reference to tea, written as Chiai, came from Delle navigationi e viaggi written by a Venetian, Giambattista Ramusio, in 1545. The first recorded shipment of tea by a European nation was in 1607 when the Dutch East India Company moved a cargo of tea from Macao to Java, then two years later, the Dutch bought the first assignment of tea which was from Hirado in Japan to be shipped to Europe. Tea became a fashionable drink in The Hague in the Netherlands, and the Dutch introduced the drink to Germany, France and across the Atlantic to New Amsterdam (New York). The first record of tea in English came from a letter written by Richard Wickham, who ran an East India Company office in Japan, writing to a merchant in Macao requesting “the best sort of chaw” in 1615. Peter Mundy, a traveller and merchant who came across tea in Fujian in 1637, wrote, “chaa — only water with a kind of herb boyled in it ” Tea was sold in a coffee house in London in 1657, Samuel Pepys tasted tea in 1660, and Catherine of Braganza took the tea-drinking habit to the British court when she married Charles II in 1662. Tea, however, was not widely consumed in Britain until the 18th century, and remained expensive until the latter part of that period. British drinkers preferred to add sugar and milk to black tea, and black tea overtook green tea in popularity in the 1720s. Tea smuggling during the 18th century led to the general public being able to afford and consume tea. The British government removed the tax on tea, thereby eliminating the smuggling trade by 1785. In Britain and Ireland, tea was initially consumed as a luxury item on special occasions, such as religious festivals, wakes, and domestic work gatherings. The price of tea in Europe fell steadily during the 19th century, especially after Indian tea began to arrive in large quantities; by the late 19th century tea had become an everyday beverage for all levels of societies The popularity of tea also informed a number of historical events – the Tea Act of 1773 provoked the Boston Tea Party that escalated into the American Revolution, and the need to address the issue of British trade deficit caused by the demand for Chinese tea led to a trade in opium that resulted in the Opium Wars. Tea was introduced into India by the British in an attempt to break the Chinese monopoly on tea. In 1841, Archibald Campbell brought seeds of Chinese tea from the Kumaun region and experimented with planting tea in Darjeeling. The Alubari tea garden was opened in 1856 and Darjeeling tea began to be produced. In 1848, Robert Fortune was sent by the East India Company on a mission to China to bring the tea plant back to Great Britain. He began his journey in high secrecy as his mission occurred in the lull between the Anglo-Chinese First Opium War and Second Opium War The Chinese tea plants he brought back were introduced to the Himalayas, though most did not survive. The British had discovered that a different variety of tea was endemic to Assam and the northeast region of India and that it was used by the local Singpho people, and these were then grown instead of the Chinese tea plant. Using the Chinese planting and cultivation techniques, the British Offered land in Assam to any European who agreed to cultivate it for export. Legendary American film producer, director, screenwriter, voice actor, animator, entrepreneur and entertainer ”Walt” Disney tragically died 15 December 1966 from acute circulatory collapse, caused by lung cancer. He was born December 5th, 1901. In 1906, when Walt was four, He moved to a farm in Marceline, Missouri. Here, Disney developed his love for drawing . The Disney family moved to Kansas City in 1911 where Walt and his younger sister Ruth attended the Benton Grammar School. At school he met Walter Pfeiffer who introduced Walt to the world of vaudeville and motion pictures. Before long Walt was spending more time at the Pfeiffers’ than at home. Walt also attended Saturday courses at the Kansas City Art Institute. In 1917, The Disney family moved to Chicago. Walt went to McKinley High School and took night courses at the Chicago Art Institute. He became the cartoonist for the school newspaper, drawing patriotic topics and focusing on World War I. in 1919 Walt moved back to Kansas City to begin his artistic career. He decided on a career as a newspaper artist, drawing political caricatures or comic strips. Walt also worked briefly at the Pesmen-Rubin Art Studio where he met cartoonist Ubbe Iwerks and they decided to start their own company together called, “Iwerks-Disney Commercial Artists”. However Disney & lwerks both Joined Kansas City Film Ad Company. where they made commercials based on cutout animations, Disney then became interested in animation, and decided to become an animator. Walt Disney was a chain smoker his entire adult life, which affected his health and a tumor was eventually discovered in his left lung which was malignant and had spread throughout the entire left lung. Having removed the lung, doctors informed Disney that his life expectancy was six months to two years. 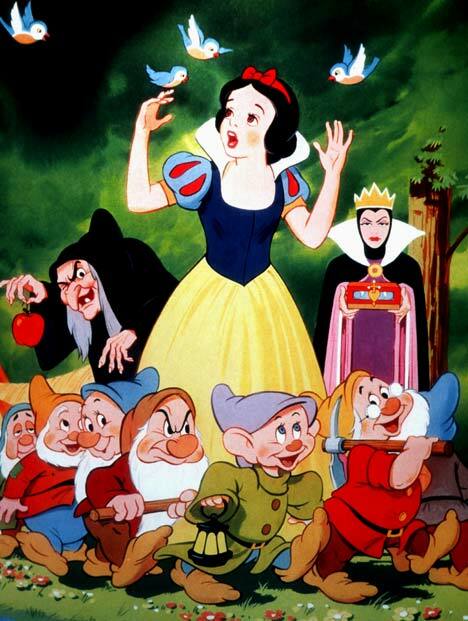 After several chemotherapy sessions, Disney and his wife spent a short amount of time in Palm Springs, California. 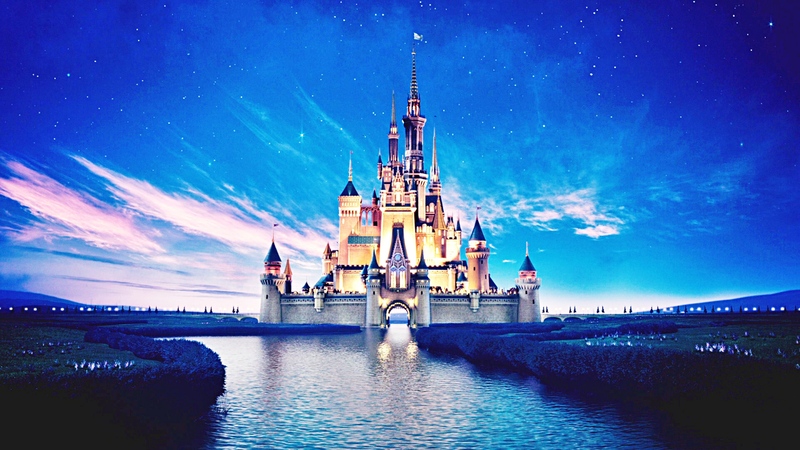 On November 30, Disney collapsed at his home and rushed to St. Joseph’s Disney’s final production was The Jungle Book and the animated short Winnie the Pooh and the Blustery Day, as well as the live-action musical feature The Happiest Millionaire, all released in 1967. Paul Simonon , the Bass player with English punk rock band The Clash was born 15th December 1955. Formed in 1976 as part of the original wave of British punk. The Clash’s music incorporated elements of reggae, ska, dub, funk, rap, dance, and rockabilly. For most of their recording career, the Clash consisted of Joe Strummer (lead vocals, rhythm guitar), Mick Jones (lead guitar, vocals), Paul Simonon (bass guitar, vocals) and Nicky “Topper” Headon (drums, percussion). Headon left the group in 1982, and internal friction led to Jones’s departure the following year. The group continued with new members, but finally disbanded in early 1986. The Clash achieved commercial success in the United Kingdom with the release of their debut album,The Clash, in 1977. 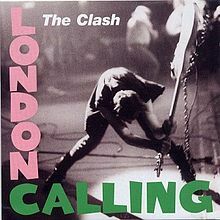 Their third album, London Calling, was released in the UK in December 1979, and brought them popularity in the United States when it came out there the following month. It was declared the best album of the 1980s a decade later by Rolling Stone magazine. The Clash’s politicised lyrics, musical experimentation and rebellious attitude had a far-reaching influence on rock, alternative rock in particular. They became widely referred to as “The Only Band That Matters”, originally a promotional slogan introduced by the group’s record label, CBS. In January 2003, the band—including original drummer Terry Chimes—were inducted into the Rock and Roll Hall of Fame. In 2004, Rolling Stone ranked the Clash number 28 on their list of the 100 greatest artists of all time. 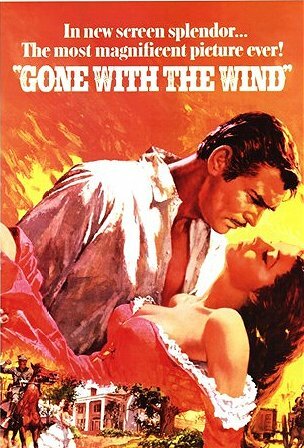 The epic romance Gone with the Wind, premiered at Loew’s Grand Theatre in Atlanta, Georgia, United States on December 15 1939. Based on the Pulitzer Prizewinning novel written by Margaret Mitchell, it is set in Clayton County, Georgia, and Atlanta during the American Civil War (1861–1865) and the Reconstruction Era (1865–1877) that followwhere the war. Set against the backdrop of rebellion, during which seven southern states, including Georgia declare their secession from the United States (the “Union”) and form the Confederate States of America (the “Confederacy”), after Abraham Lincoln was elected president. A dispute over states’ rights has arisen involving enslaved African people.